Colorado Wall Dogs: Ghost Signs Across the State. 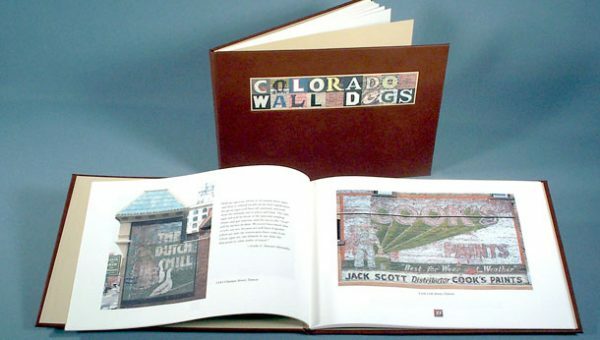 This limited-edition artist book is an effort to preserve Colorado’s historic painted brick wall ghost signs by cataloging and photographing this important part of the state’s history. While searching out and photographing these hand-painted signs I nicknamed the signs “wall dogs” in homage to the men who painted them. My three-year effort to photograph the signs was an incredible exploration of a graphic and architectural history that taught me much about our buildings, our communities and our past. Purchase the POD version of Colorado Wall Dogs here. Second Edition Paperback Print on Demand Book: The deluxe edition of this book was so popular that I created a self-published Print on Demand (POD) paperback edition available for just $15. Same images, same text as first edition. 7” x 9”, 60 pages. Open edition © 2007. First Edition Deluxe Artist Book: Case bound in handmade paper from Cave Papers. 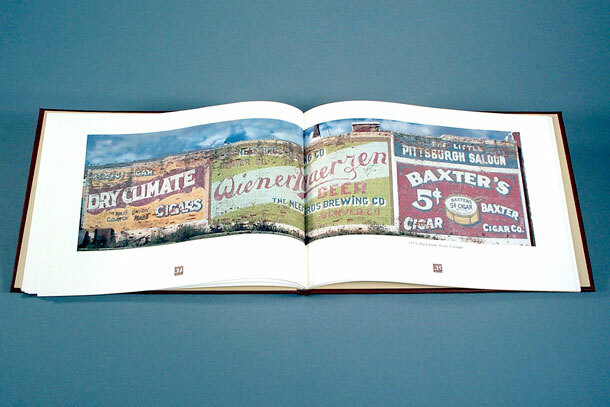 Archival digital printing on Superfine Paper. 11” x 8” 60 pages. Edition of 50. Presented in a clamshell box. Signed and numbered. ©2003. This deluxe hand-bound edition is now SOLD OUT!